Pastor Greg Mayo and his wife Sherri have been leading Cornerstone Church of Augusta since 1992. They have two adult children, Jonathan and Hope. Pastor Greg is a graduate of Eastern Mennonite University with a degree in Pastoral Ministries and Family Studies. After graduation they spent 18 months on the mission field with Brethren Volunteer Service at Queen Louise Home for Children in St. Croix, USVI. When they returned to Virginia they found their way to Cornerstone Church in Rockingham County and have been serving in the ministry since. When they are not busy in ministry leadership, they love to ride the open highways on their Harley Davidson. 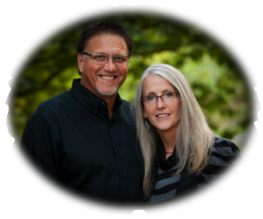 Pastor Marty & Mary Smyser have been leading Cornerstone Church of Marion since 1998. They worked hand in hand with a core group of believers to plant the church in Marion County, Missouri in 2001. They have two married adult children, Marty Joe & Sabrina Smyser and Steven & Rachel Luckett, along with eight grandchildren. Pastor Marty & Mary have served in many facets of ministry since coming to know the Lord in 1987. Pastor Marty was licensed and ordained by Cornerstone Church & Ministries International under the guidance of Pastor Gerald Martin in 2003. They are native to Marion County, Missouri and consider it a great privilege to minister in their home region. When they are not busy in ministry they love to spend time with their family and to take short trips to rest and relax. Pastor Joe Slagell and his wife Liz have been leading the Cornerstone Church of Harrisonburg congregation since October of 2016. Joe has lived most of his life in the Harrisonburg area and graduated from college in 1992 with a major in Business Administration and a minor in Journalism. After working in banking for 16 years, Joe was called into ministry and became the associate/youth pastor at CCH in 2014. Liz has been teaching at Cornerstone Christian School since 1998. They have two teenage sons, Cameron and Luke. Joe and Liz have been a part of Cornerstone since 1997. Pastor Gerald Martin is serving as an interim pastor at Cornerstone Church of Broadway, the church he founded in 1986. This is his third interim pastorate since retiring in 2011 as apostolic overseer of Cornerstone Church and Ministries International. Pastor Gerald and Sophia have demonstrated a life of spiritual fathering and mothering to countless men and women. HeartLink Network is blessed to have them at the helm of leadership at the Broadway congregation to prepare the way for the next Sr. Pastor. Pastor Glenn and Kara have been serving with Cornerstone Church and Ministries since 2003. They have three beautiful and very active children. Pastor Glenn has a Bible degree from Cornerstone Bible Institute and was ordained in April 2013 by Heartlink Network. In October 2013 a core group of amazing families and friends launched Life Christian Fellowship​ in Weyers Cave, Va. Pastor Glenn enjoys the outdoors and loves sports. Kara enjoys gardening and spending time with their family.